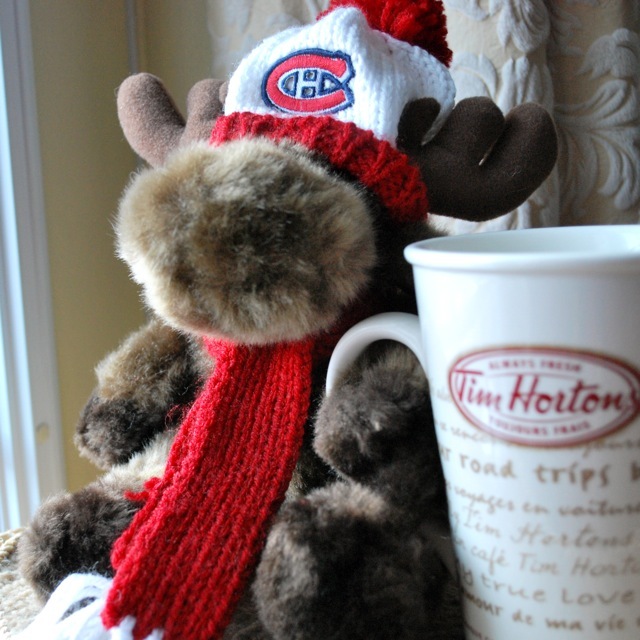 Monty looks exactly like his profile photo: he is a small stuffed moose who is a fan of the Montreal Canadians, Tim Horton’s coffee, and loves making new friends. Monty is also the official mascot of MEETin Montreal and as the City Lead for 2010, I had the opportunity to have some fun with Monty being my alter ego. As I transition the group to the new City Lead for 2011, I have been thinking about my time leading a 100% volunteer organization and what the experience has taught me. The first rule of MEETin is to be polite and courteous to everyone. While it’s not difficult to do as an individual, it’s a whole different story being responsible for ensuring dozens of individuals at events and in the online community respect that rule. A social organization open to everyone means that the only thing each person has in common is that they want to meet new people but the reasons can be very different. In Montreal we have the additional challenge of being a multilingual and multicultural city with French and English in the majority, but neither are the first or even second language for some of our members. These conditions alone truly make the group exciting and it’s what I love best about being involved. However, no one is meant to like everyone and these or other differences can lead to conflicts. With a group of over 700 members, a conflict is bound to happen at least once in a year. I was thankful to have had professional management experience under my belt when dealing with conflicts. I was also grateful to have two trusted advisers in the group I could turn to for support. For anyone thinking of leading a volunteer organization, I highly recommend developing a trusted support system. Also, if you don’t have a lot of management experience, I suggest reading up or getting training on conflict mediation and dealing with inappropriate behaviour – before it happens. All groups need energy and motivation from the leader. For volunteer organizations, this is even more critical. Everyone is there to have some fun while contributing to the larger community. Everyone has busy lives and will move on if the volunteering starts to feel too much like work. In addition, it’s only natural that long time members and volunteers will go off to do new things so there is a constant need to get new people involved. As a result, my role was to continuously encourage new people to get involved, to keep the event calendar, website and social networking outlets active with a variety of activities, and to recognize and appreciate the efforts made by all volunteers. Every activity or new initiative had to be simple, easy, inexpensive and fun. This takes a lot of creativity and energy and isn’t always easy. I did the best I could and I am happy with the results. The group added six new volunteers and retained all existing volunteers, except for a few who either moved away or had another significant change in their lives. No matter how well prepared I thought I was, the time commitment was still more than I had expected. The previous City Lead had completely convinced me that the time commitment was minimal and it would be easy to fit my new responsibilities into my already busy schedule. Well, I quickly figured out that she was either really good at marketing or just super organized, which was more the case. I had to develop and adjust to a new routine and then figure out how to make that routine more efficient for myself. It also reinforced the importance of getting more volunteers involved to share the work. More people collaborating means more energy and more ideas and less of a time burden for any individual. I loved when the volunteer who proofread our weekly newsletter added her own voice or when an event planner found a great place for an event and we collaborated on the monthly Meet and Greet. I appreciated the engagement from the volunteers and it gave me a bit of a break. The most important lesson for me is that being a volunteer, no matter the role, develops useful skills for work. Everything I discussed above happens at work and the advice also applies. While pay cheques, status and corporate culture are clear factors in the business world, as leaders and employees we always have to remember that we all have a choice. We choose to stay with a company, to be supportive to our colleagues, to be engaged in the business, to figure out how to do things better for ourselves and the people around us. Volunteering with an organization meaningful to you, in your community, can help you find that spirit within yourself and maybe even inspire you to find it at work. If you have not volunteered before, I encourage you to give it a try in 2011. If you are already a volunteer, then I want to thank you. You are making a difference in your communities and it is appreciated. Every now and then remember to take a break and take on a new role of encouraging new people to get involved. It’s worth it. Thanks for this insight to the ever growing job of lead of a MEETin city. I am/was the lead in TO, and we are sinking very quickly. I am hoping that some new blood will come and rescue us soon!